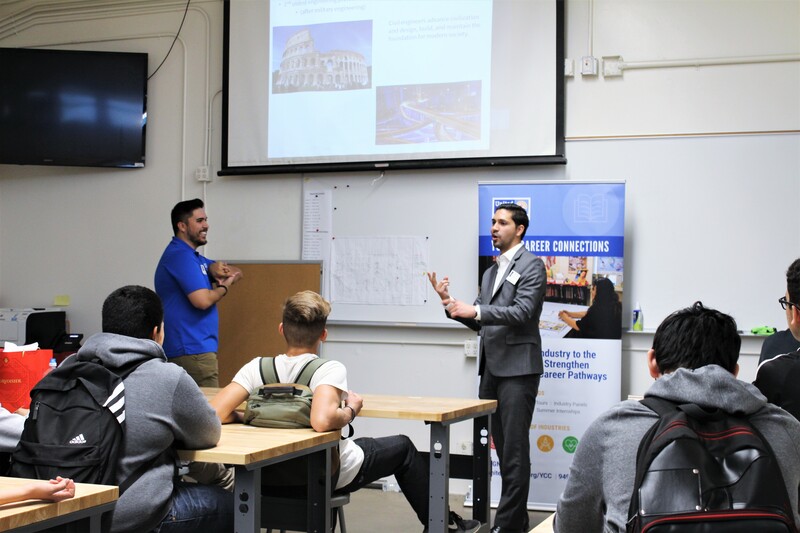 On November 9th, ASCE OC partnered with OC United Way to host a speaker series, an event where they aim to bring professionals from all STEM fields to visit school sites to present about their field and teach students about career options. 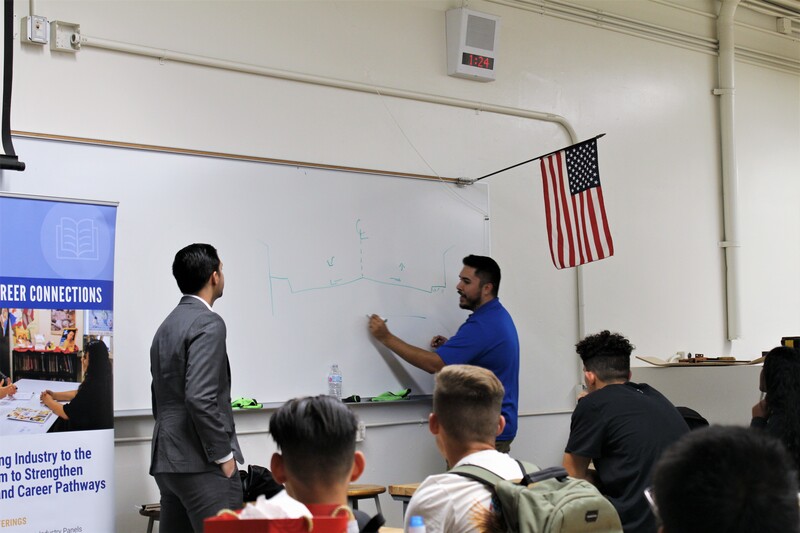 Victor Aguirre and Memo Medina visited Santiago High School and spoke to two classes about the world of Civil Engineering. The class they visited were mixed with all grade levels but a heavier emphasis on 9th and 10th graders. 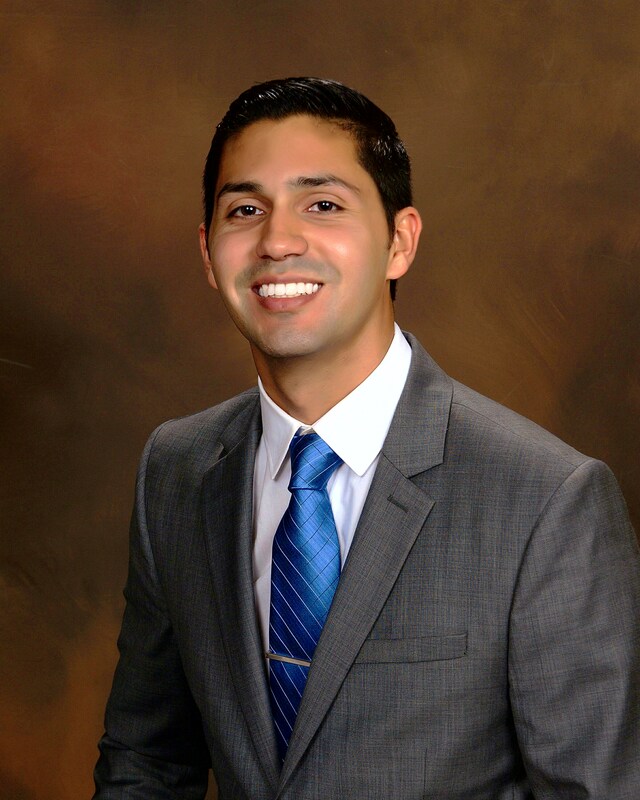 For several students, this was the first time they had heard about civil engineering. 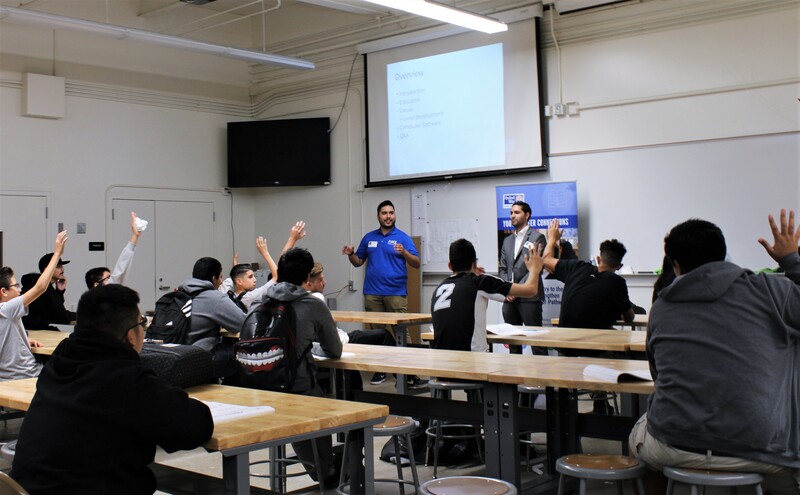 The presentation included their personal experience about how and why they pursued civil engineering. Afterwards they explained the fields that a civil engineer can specialize in, and then spent some time discussing what they specifically do at work. Both Victor and Memo work in land development so they taught them concepts about grading and drainage and underground utilities.